KABUL: China on Tuesday welcomed Pakistan Foreign Minister Shah Mehmood Qureshi’s maiden visit to Afghanistan and expressed its backing for their action plan for peace and reconciliation talks with the Taliban. “China is a friend and neighbor to Afghanistan and Pakistan. We hope they can develop their relations in sound and steady way,” Geng said. “We commend their positive statements. 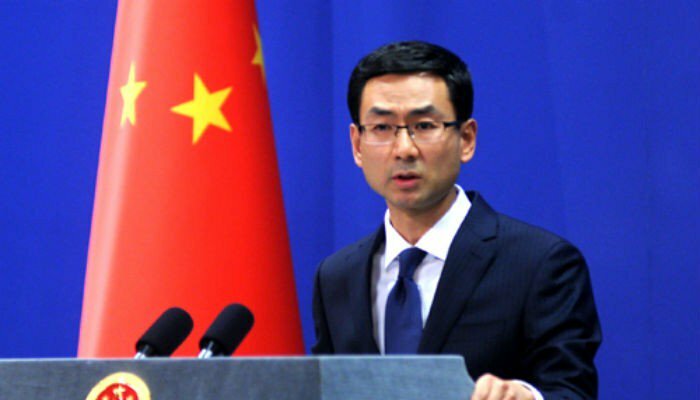 China supports the two countries in implementing their action plan and move forward the Afghan reconciliation process,” he said, without elaborating. “China will continue to play a constructive role in that and in moving forward trilateral cooperation China is in close touch with Afghanistan and Pakistan on the second trilateral meeting,” he said. Since last year, China has been holding trilateral meeting of the Foreign Ministers of the three countries in a bid to promote reconciliation with Taliban. The Pakistani delegation also met Afghan Foreign Minister Salahuddin Rabbani. Qureshi’s visit came amidst the US’ pressure on Pakistan to play more active role in arranging peace talks with Taliban rebels.